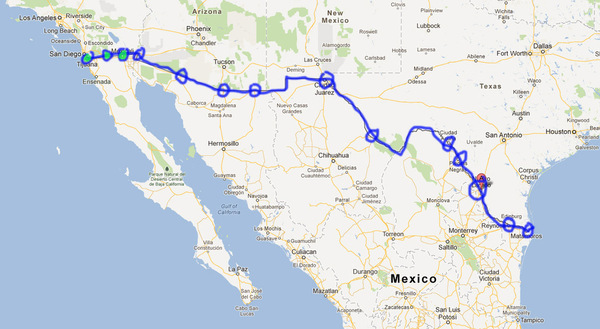 A rough outline of my next travel along the 2000 miles (ca 3200 km) long US Mexican border for my La Frontera Project ( see about ). I first visited Baja California in 2008 and photographed artists at the border; I continued in 2009 and again visited Tijuana, Tecate and Mexicali earlier this year. 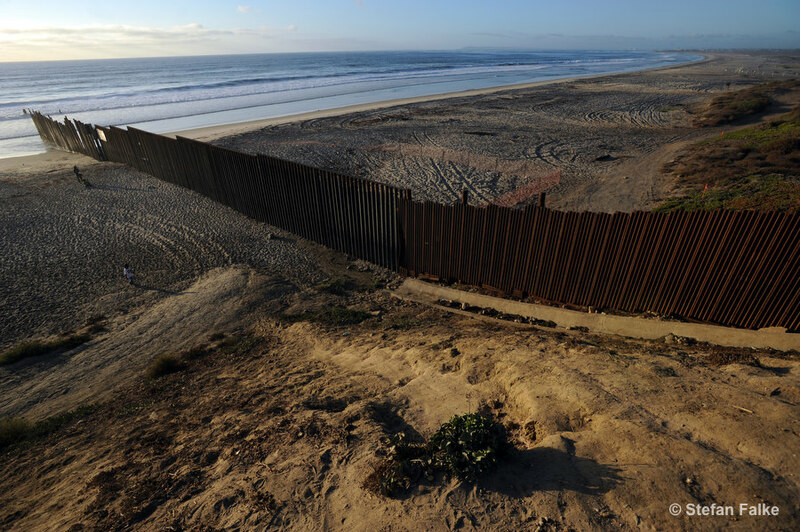 I will – with your help – travel along the entire length of the border for 3 month starting in November and photograph artists and other creative people to show that there is more to the border than violence. Stories about the vibrant cultural life on both sides of the ‘fence’ are usually not explored by the international media. I want to tell these stories. Please watch my 2 and 1/2 minute video (I am in it !) about my plans and, if you like, make a contribution and/or spread the word amongst your friends and colleagues on your social networks or via email and get instant followers on Instagram!! Your help is very appreciated, contributions start at 10$; individuals and companies or organizations giving 1,000$ and more will have their name mentioned in every book, brochure, exhibition, blog and website in connection with the project. Interviews and stories will be written by Claudia Steinberg, an internationally published journalist based in New York, who will join me at the border at times. In any case, I hope you enjoy the short video and tell others about it !! Stefan, I came across your blog looking up some Madame UR info to share w/a friend. and so glad I stumbled upon it, I know/recognize a few of the Tijuana-based artists and the locations. What an awesome gathering of artists and their surroundings, I am in love and home-sick<3 for mi bella Tijuana 🙂 THANK YOU!!!!!!! !